We are now just days away from the big game and while everyone has their own opinion we are only interested in knowing what the guys who are fans of the specific teams have to say. 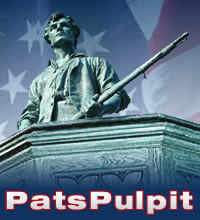 Enter Pats Pulpit – the amazing New England Patriots fan site. New England fans have had a lot to cheer for this season and with the Super Bowl looming you get the feeling that this one could be the most important one of all time to them. Tom from Pats Pulpit (PP) was kind enough to take some time out of what is no doubt a crazy week to answer a few questions for us. Thanks Tom! Is there too much being made about Tom Brady’s ankle injury?